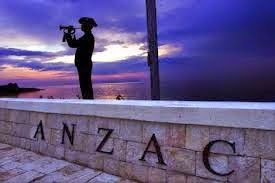 Anzac Day 2014 marks the 99th year after the landing at Gallipoli, however Anzac Day goes beyond the anniversary of the landing on Gallipoli in 1915. It is the day on which we remember Australians who served and died in all wars, conflicts, and peacekeeping operations. The spirit of Anzac, with its human qualities of courage, mateship, and sacrifice, continues to have meaning and relevance for our sense of national identity.